Smell the paint! 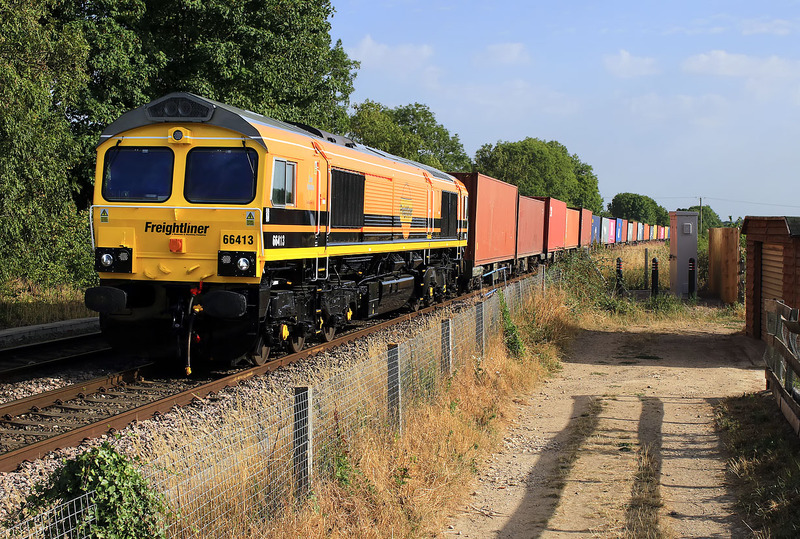 Genesee & Wyoming liveried 66413 runs alongside the public footpath at Tackley on 6 August 2018 with the 4M67 14:17 Southampton Maritime to Hams Hall freightliner. This was slowing down prior to stopping at the next signal, as all trains were, due to a track defect. I had hoped that this, along with some earlier late running, would mean that the sun would be on the front here. However, it was only half an hour late passing me, and so the sun was not quite round, although at least the sun was fully out!